On Monday I cast on for my third sweater, Schooly from Knitty by Stefanie Japel. I’ve wanted to make it since Knitty Deep Fall came out and went over a few choices for yarns to use. I decided to go with some ultra alpaca that I picked out at Magpie Yarn. 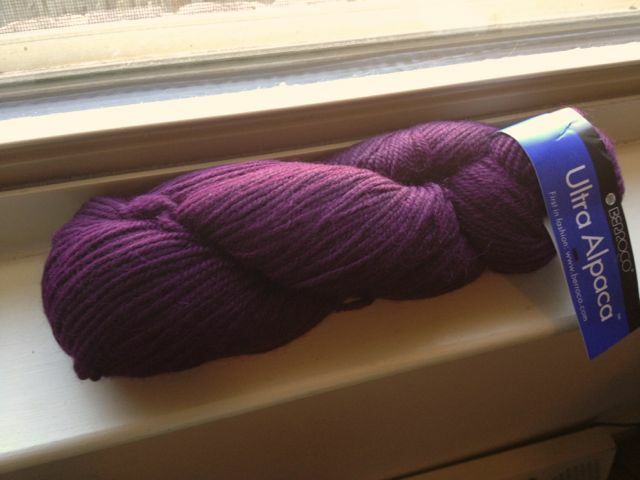 I went over every color of ultra alpaca that Jane carries before we both agreed this burgundy color would be perfect. If the amount of yarn I’m using is any indication I’m about 2/5ths of the way through. It’s a nice easy knit that I really don’t have to pay attention too but I’m loving it so far. I have a feeling I’ll be getting a lot of use out of it when I’m done. Mmmm alpaca! I made a cowl out of the same color. Love it.